You only have to hold them to see and feel the superb design and engineering quality that goes into them. wonderful tools it will be the last set you ever buy and they will serve you faithfully for a lifetime. 1/4", 5/15", 3/8", 7/16", 1/2", 9/16", 5/8", 11/16", 3/4", 13/16", 7/8", 15/16", 1". 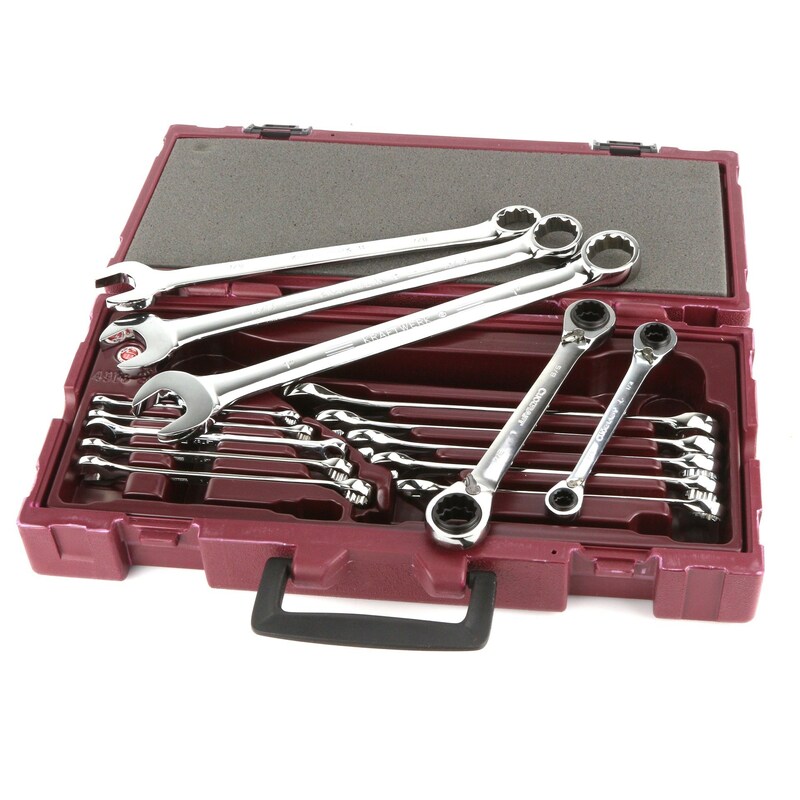 And two, 4 in 1 reversible ratchet ring spanners with 4 sizes on each one - 3/8" to 3/4". Beautifully chrome plated and supplied in a blow-moulded box. Full instructions supplied. 265mm long.